Microsoft is making sure one of its white elephant operating systems doesn't get forgotten in the hubbub surrounding Windows 10. Windows 8.1 RT users listen up as you're about to get one of those features you've been eagerly hoping would one day turn up - the Start Menu. First reported by WinBeta, Microsoft is bringing a variant of the Windows 10 Start Menu to the tablet-based OS and that's not all as it will also see a completely new lock screen that is different to the current edition. Whilst it will only be a variant based on the DirectUI Start Menu found in early technical builds of Windows 10, Windows 8.1 RT users will be understandably excited at the addition of one feature that has been conspicuous in its absence until now. There's currently no word from Microsoft on when it will deliver this exciting new feature to Windows 8.1 RT tablets but the advice is to keep a close eye on Windows Update on your RT device to get it as soon as it's released. 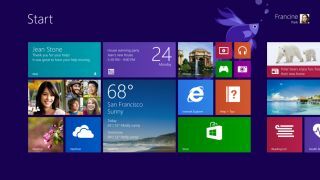 Microsoft has made it be known in recent weeks that it isn't giving up on Windows 8.1 RT and less than a month ago Gabe Aul, head of the company's OS group, revealed that Windows 8.1 RT Update 3 will be on the way next month.